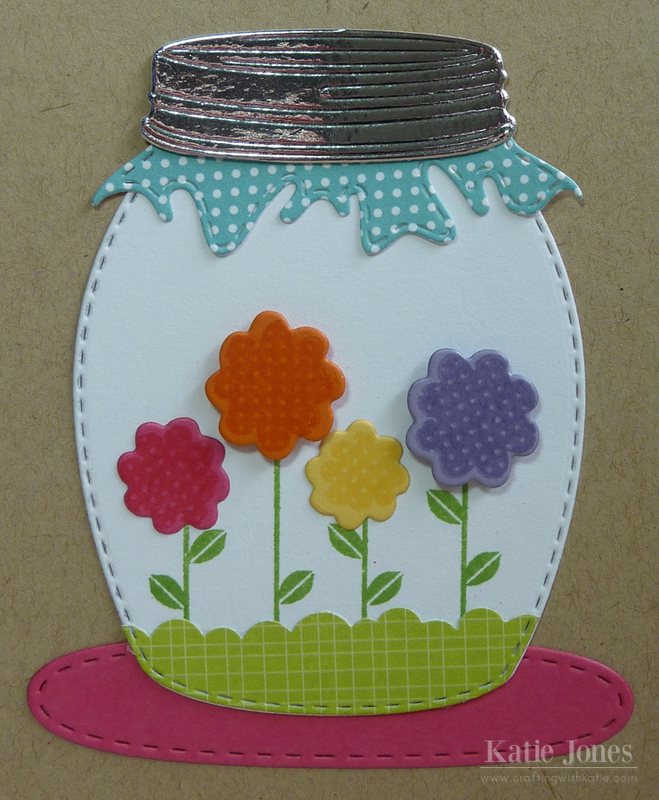 I have a friend celebrating her birthday today, and I thought she needed a fun springy card to help her celebrate! The colors on here make me happy, and hopefully they will do the same for her. To make my spring jar, I used the My Creative Time Stitched Chunky Jar Dies, cutting the jar in white, the "fabric" in a polka dot pattern from Simple Stories SN@P Color Vibe, and the lid out of silver paper from The Paper Company. 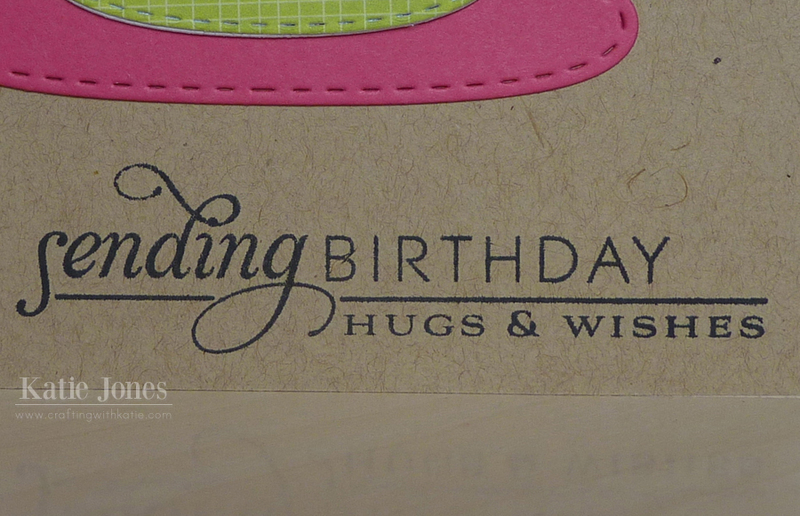 To make the "grass", I took a scrap of green patterned paper and used the ekSuccess Bumpy Road Edger Punch on it. Then I ran it through my Vagabond with the jar die to make it the right size with the stitching. The flowers and stems were made with Papertrey Ink's Polka Dot Parade #2 stamps and dies. I used the MCT Stitched Oval Die to make a hot pink placemat for the jar. 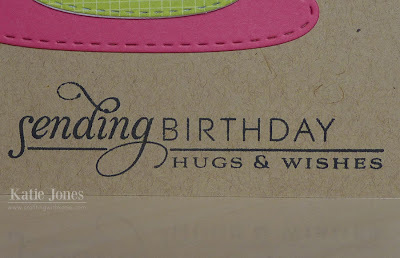 My sentiment is from PTI's Stylish Sentiments: Birthday stamp set. Oh Katie ~ your friend is going to LOVE her card! The colors made me HAPPY and SMILE when I saw these on FB! They look simply stunning on Kraft paper ~ I can't even tell you! Then you used that stitched oval die ~ so CLEVER!! LOVE it and I say CAS too!!! PERFECTLY done! 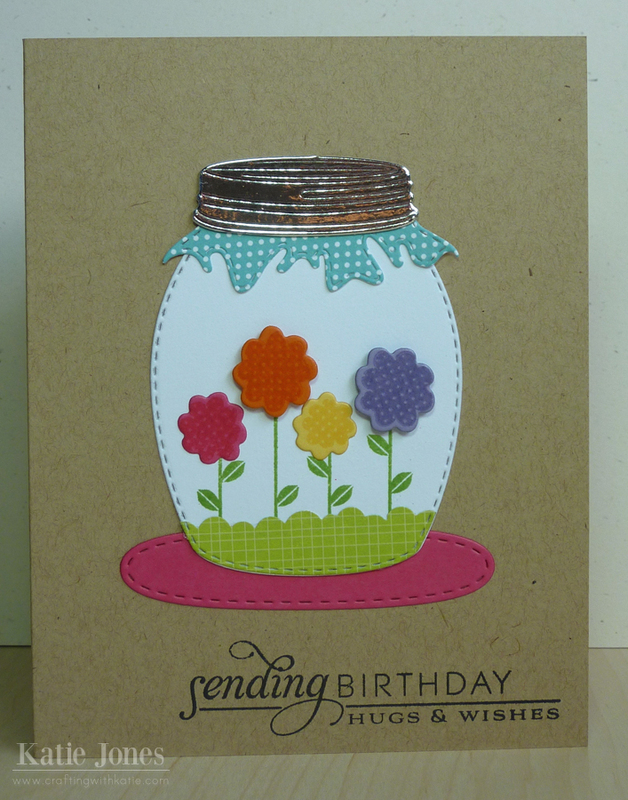 Such a cute card, your friend will be delighted to get it! TFS! Simply adorable! I love how you ran the grass through with the jar die, I'm going to borrow that technique from you. Love the stitched oval die as the placemat, it's the perfect size. Wonderful, wonderful card; I'm sure your friend enjoyed it.